This page contains affiliate links. Read Full Disclosure I hope you enjoy these FREEBIES to decorate your classroom, home or even your child's room. I love having this poster right next to my classroom door, so everyone can see it as they come in. I enlarge mine so it decorates the entire entryway. I am giving this poster away for free! Reminding children they are special, smart and important to you is the best way to start each day! Upload these JPG files to a photo center and they can print as an 8 x 10 - choose white, chalkboard or BOTH! PDF is also available - print at home or a print shop. They are perfect for classrooms, children's rooms, nurseries or even print them on a small scale (printer setting) and use them as flashcards. These supply labels are perfect for labeling your classroom! My huge set of classroom labels comes with over 100 classroom supply labelsPLUS an editable page of labels that you can type whatever you need!I love the red, yellow, teal and grey color scheme. The black drawers come in sets of two, and the white drawers come in sets of 4. They are worth the investment as I have these all over my classroom to keep my papers, supplies, student work and copies organized. To match the alphabet posters, I had requests for color and shape posters too. 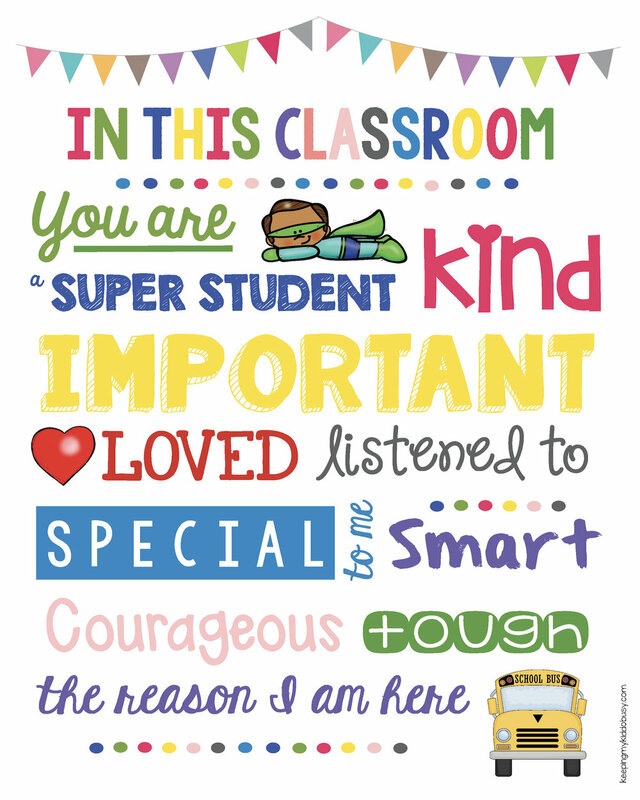 I hang this banner outside my classroom at the beginning of the school year. It is just a cute touch and matches my red, yellow, teal, grey chalkboard theme that I love! I use banners all around my classroom - on bulletin boards, above my calendar set, for brag tags and more. 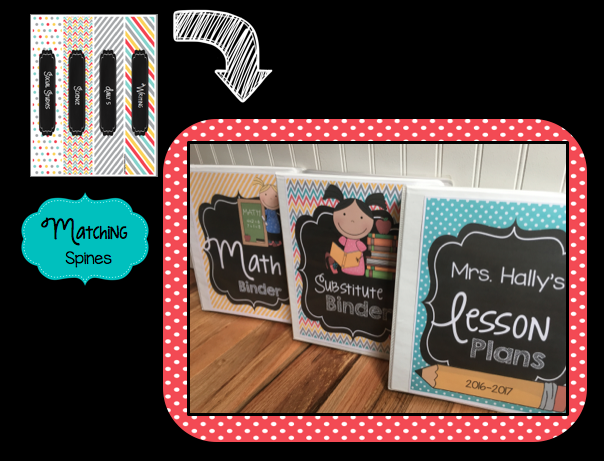 To match my other classroom decor, I have have a Complete Calendar SetSave money and grab everything you need in my Complete Classroom Decor Bundle that includes everything you see, plus a weather graph, editable cards, number posters, name plates, table numbers, schedule cards and so much more! Everything you need to set up a coordinating, adorable classroom.